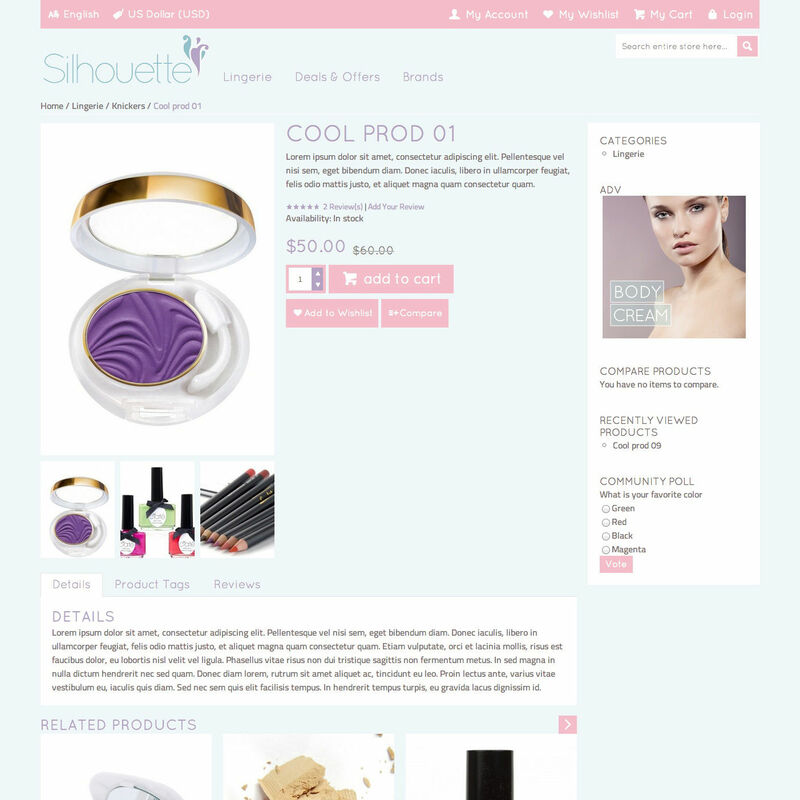 Silhouette is a stylish responsive and mobile-enhanced Magento theme which is suitable in particular for fashion, clothes, home decor and appliances stores. The template comes with 3 preset styles, with a clean CSS for easy customization, with a mobile-ready enhanced MegaMe Menu, with 25+ custom static blocks and built-in plugins for slideshows, product slides, Google tags and image zoom. 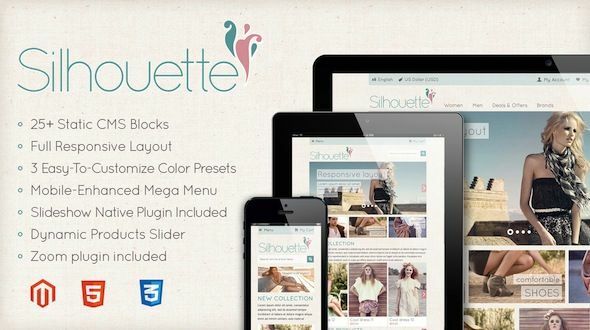 Silhouette is compatible with Magento 1.6.0.0, 1.6.1.0, 1.6.2.0, 1.7.0.0, 1.7.0.1, 1.7.0.2, 1.8.x.x. Silhouette is designed to seamlessy adapt from big desktop screens to small smartphones. Even when the screen is resized, the template elements are transformed gradually on each resolution breakpoint (from 320px up to 1280px) to adapt smoothly to the browser’s window size. Silhouette comes with 3 built-in design presets that you can use out-of-the-box. The template features an easy to read CSS to allow simple modification of its appearance when needed to adjust to the client’s brand. Silhouette comes with 25+ static blocks that you can use to customize the content of your Magento site. Some of them are product-specific or category-specific, so that you can display custom content depending on the product/category shown. Dynamic Product Slides allows you to transform each products grid listing in a beautiful slider in an extremely easy way. Silhouette natively supports Google Product Tags for advanced search engine optimization. The template automatically adds Google tags on each product page to let Google index it better, displaying enhanced meta information in search results. 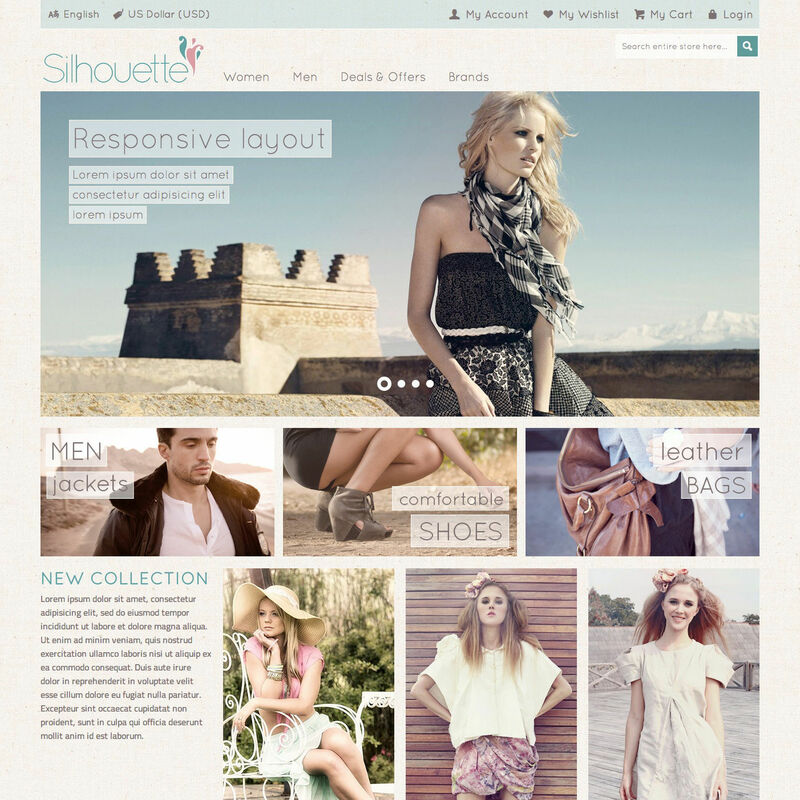 Silhouette is indipendent from Magento’s default theme, being a separate design package and not a variant of it. This means that you can create custom sub-themes that are upgrade-safe, having less code to mantain. You can create for example season-specific theme variations to change the appearance of your store in special occasions like Christmas, holidays, etc. We are fanatic of clean code, and Silhouette CSS files are a product of this: easy to read, easy to customize. A special “custom.css” file is provided to put all your modifications in one place. Silhouette doesn’t modify Magento core files, so that you can safely keep your installation updated. After purchase, all updates are free of charge. We are committed to continue updating and improving this theme. Bug fixes are also guaranteed.